The NMPP (New Multi Product Pipeline) project was the biggest capital project ever built by Transnet. It included the production of a 24″ diameter fuel pipeline over 700km across South Africa. It pumps Gasoline, Diesel and Jet Fuel inland across South Africa and needed to comply with very strict environmental requirements. 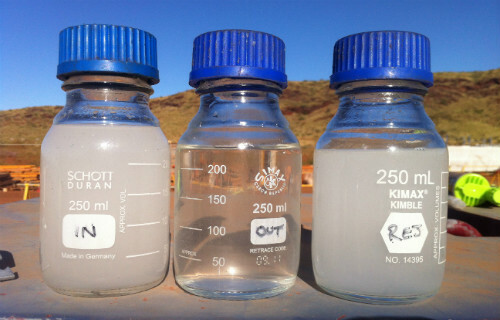 Ultraspin has a long history of working on oily water projects in South Africa both directly from Australia and also through our long standing distributor Procon Environmental. The challenge we were presented with this project was one of the bigger ones we’ve managed in the past few years. The scope of the project was big for a number of reasons, it was a huge investment in South African infrastructure and was essential to meet the ever growing fuel needs of inland South Africa. 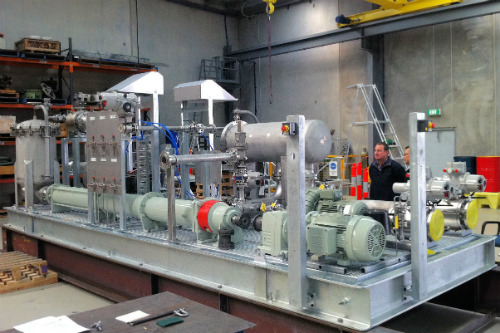 After rigorous Pre-Award test requirements were met, an order was placed on Procon and Ultraspin for 5 separate oily water separator packages. All five systems combined have an installed flowrate of over 330m³/hr and have been designed, along with supporting infrastructure to cope with a 1:100 year storm event. Believe it or not, the water restrictions in South Africa are actually extremely strict and in contrast to Australia, are strictly enforced. Because of this one of the biggest challenges on this project was the discharge standard. To comply, the Ultraspin systems needed to be able to produce a oil in water concentration of less than 2.5mg/L during all operation including some upset conditions. To put that into context, in Australia a typical tight restriction would be 5mg/L which is double the requirement of this project. All of this in an application where different fuels, of different densities are mixed, pumped and emulsified made for a challenging application. Each system included a Free Oil Recovery (FOR) system of suitable size to cope with bulk spills or large oil accumulations over time at each location. These FOR’s are capable of capturing 100% oil and allow the main Oil Water Separators to focus on removing the lower concentrations of emulsified oil to below 2.5mg/L. 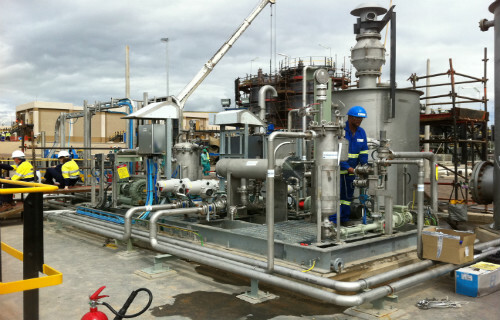 Ultraspin and Procon Environmental were privileged to provide oily water treatment systems to such a high profile project and we look forward to working with Transnet in the future when additional pump stations are installed to increase pipeline capacity from 1,100 million litres/hour to 3,000 million litres/hour.